Also known as the North American brown bear, these guys are considered by some to be the most aggressive of the bear family. Found in the spectacular uplands of North America, they enjoy a life of solitude among the forests and mountain ranges. 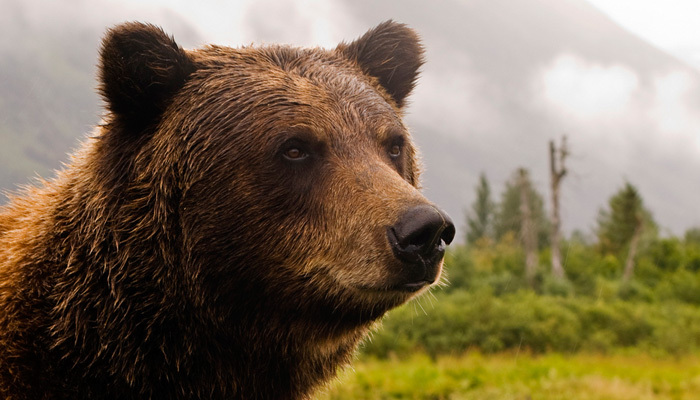 A male grizzly weighs in around 200kg and can reach a height of three metres when standing on his hind legs. His favourite meal is fresh salmon, maybe one to omit from the picnic basket. Careful not to confuse this fella with his cousin the black bear, you can identify a grizzly by its humped shoulders, white-tipped back hair and extra long claws. All the better to forage with of course. Don’t be a ninja, bears don’t like surprises. When out in the woods consider a cheery camp song for your journey, or attach a small tinkling bell to your person, and exchange happy tales of adventure with your buddy in nice loud voices. It’s also wise to curtail explorations of dark, unknown caves or hollow logs, as these are prime spots for den building. Another handy hint is not to leave a gravy train leading directly to you. Pick up all garbage, cooking supplies and clean up thoroughly after meals. A bear’s keen sense of smell can see him pick up a scent a mile off. Secure food overnight by handily hanging it high in the air, from a near by tree branch. This hopefully means you’ve spotted him too. Pretty fantastic, but be clever! Stop, don’t move. Speak to the bear in a low, calm voice and slowly raise your arms in the air, making you appear bigger. Bears are solitary creatures, a little bit shy, they don’t take well to having their photo taken. Tuck away the camera and leave that job to the professionals. If you see a bear with a cub, leave quickly. 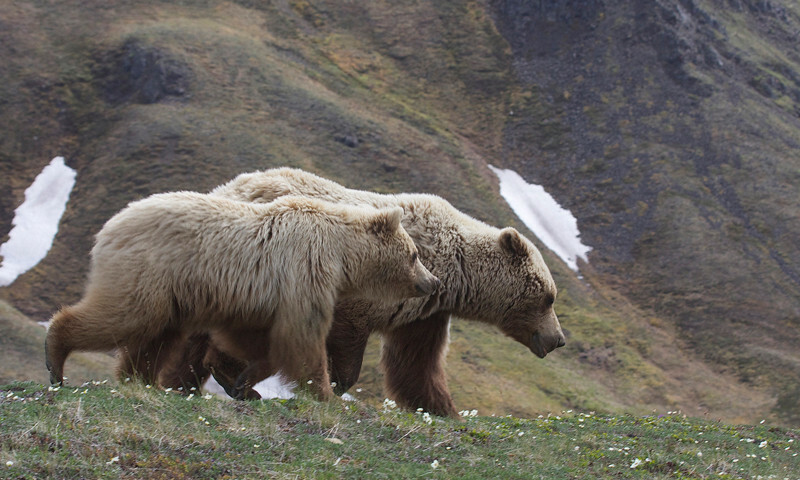 Mother bear’s number one priority will be cub protection, leaving little room for negotiation if she feels threatened. Best way to get away, is just rewind. Nice and slowly, retrace your footsteps, avoiding crossing the path of the bear. Do not run! To a bear it looks like a game they want to play, reaching top speeds of 56kp/h, it’s likely because they make pretty good winners. Find a tree and climb it. Grizzly bears aren’t as good climbers as their cousins the black bear, so a height of 3-4 metres should be sufficient. Less desirable options include playing dead. Adopt the fetal position, protecting your most vulnerable bits, and maybe try putting your backpack on top for an extra layer of protection. The pathetic sight of you should make you appear less threatening, earning maybe a sniff and a growl but hopefully being left alone. Bear identification does play an important part here, if your new acquaintance is a black bear, do not play dead. These guys see you more as a chase-free lunch option. The last option is to fight with all your might. Bear spray, a kind of pepper spray for the big guys can be pretty efficient if dispersed in his furry face, giving you time to escape. Otherwise your best moves and some loud yelling are all you have left at your disposal. Kick, scream and go for the eyes! If you’re a clever hiker you shouldn’t worry too much. There’s a far greater chance of being hit by lightning than being attacked by a bear. These guys tend to be content with staying well clear of us noisy lot. When home is a spectacular backdrop of snow capped peaks, mountain forest, river valley floors and rugged coastland, I think you can understand their desire to enjoy it in peace.